Sometime clever use of tabs can makes your website attractive. It is necessary where a limited space is available for contents. Tabs allow saving space by giving user a way to toggle between several items in a small room. Also, jQuery can be blend with it to give some incredible animation and transition effects. 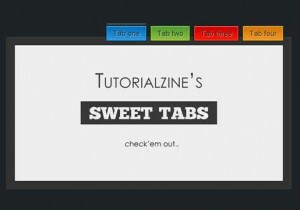 Here are some jQuery tutorial and plug-ins to help you for building a tab navigation within your website. 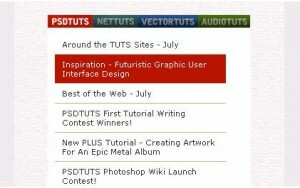 It is a combination of tutorial and plug-in that help you to build an animated tabbed interface. 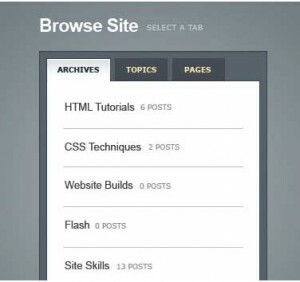 Here is the tutorial that will teach how to create a tab page with CSS3 and jQuery powered by Ajax. This will teach you how to build a dynamic tabbed blogroll with various fun jQuery animations. 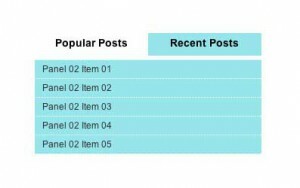 This jQuery plug-in can create an interactive featured list widget. Here you will learn to create a fancy sliding form having validation feedback to the user after each step. This sliding saves lots of space and it is easy to access. 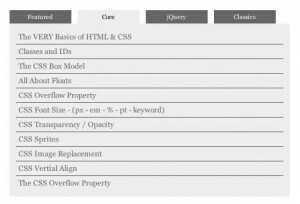 It is a tutorial that describes to create a tabbed interface using the tab function in the jQuery UI library. 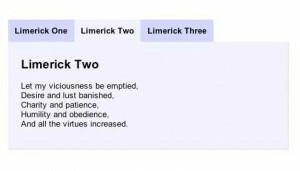 This jQuery plug-in allow you to create tabbed content. 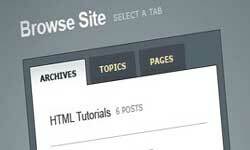 This jQuery plug-in makes adding tabs into a website so simple, as beginner can also use it. This is a simple jQuery script code that can be used for sidebar element to display recent post, comments and news.